A sudden blow to the head or a rapid forward or backward motion can damage the brain and cause a traumatic brain injury, also known as TBI. A traumatic brain injury can disrupt the normal processes of the brain and victims may be at risk of losing their ability to engage in everyday activities. Depending on the severity of the injury, the aftermath can change a victim’s life forever. A traumatic brain injury lawyer can help those who have suffered this serious injury in a car accident, slip and fall, or other accident due to someone else’s negligence. Weinstein Legal can provide legal counsel and determine if you may be entitled to compensation if have suffered a traumatic brain injury. For a free case review, fill out to your right. A traumatic brain injury happens when a force, such as a violent blow or sudden jolt, causes the brain to dysfunction. TBI can also be cause by an object penetrates or shatters part of the skull. According to the Centers for Disease Control & Prevention (CDC), traumatic brain injuries contribute to 30% of all injury deaths. Traumatic brain injury was a diagnosis in more than 282,000 hospitalizations and 2.5 million emergency department visits. According to the CDC, falls were the reason for nearly half of all TBI-related visits to an emergency room; the majority of the visits were adults aged 65 or older. Vehicle crashes were the third leading cause of emergency room visits for a traumatic brain injury. These types of brain injuries may range from mild, such as a brief change in mental status, to severe, leading to memory loss or an extended period of unconsciousness. The majority of brain injury cases are mild. Some of the symptoms may appear immediately, but others may not be noticed until days or months after an injury. As some of the signs can seem like normal behavior after an accident, some victims may not understand the problems they are experiencing, or could blame the changes on other situations, such as work, stress, etc. If you were involved in any type of accident, be it a slip and fall or car crash, you should get medical attention right away. Even if you didn’t lose consciousness or don’t think you are injured, it’s important to get medical assistance. Getting help soon after an injury can help improve the odds of full recovery. Regardless of how your injury occurred, a traumatic brain injury attorney can help you and your family get the support, compassion, and legal assistance you deserve. If you’re facing increasing medical costs, lost wages, and loss of quality of life, all due to your injury, Weinstein Legal can help. No one can prepare for a life-changing event such as traumatic brain injury. However, with the guidance and support of a traumatic brain injury lawyer, you can start on the path to recovery knowing that someone is on your side, fighting for your rights. 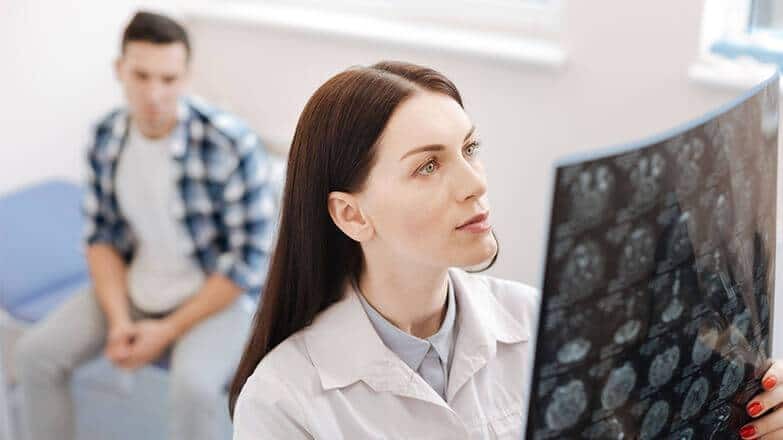 A knowledgeable traumatic brain injury attorney can examine all the facts of your claim, provide legal counsel, and file a claim on your behalf so that you can get the compensation you deserve. Contact us to speak with a personal injury attorney who can help determine if you’re eligible to pursue a claim. For a free review of your brain injury claim, fill out our contact form or call 954-845-0505.